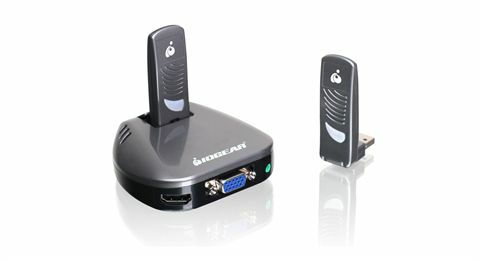 IOGEAR is proud to announce the Wireless HD Computer to TV Kit. This brand new solution delivers High Definition video up to 720p from your computer to your home entertainment center. With the utilization of the very latest Ultra-WideBand (UWB) Wireless USB technology, wireless multimedia streaming is now more stable and more resistant to interferences than ever before. 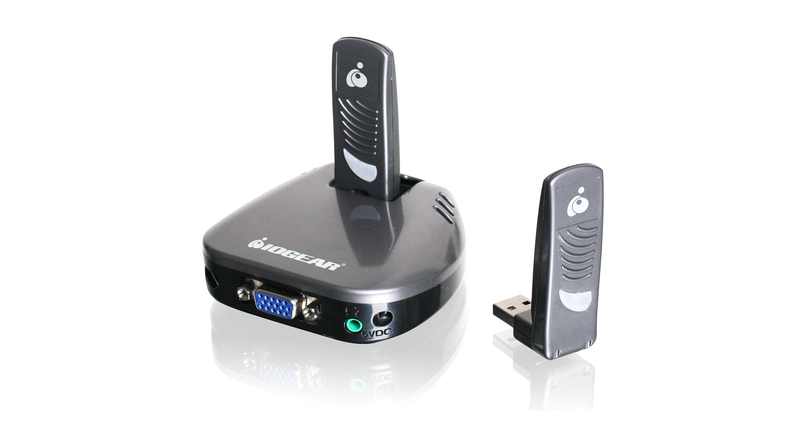 The Wireless HD Computer to TV Kit provides in-room transmission up to 30 feet, is easy to install and operate, plus, it is an ideal solution for both home and office use. 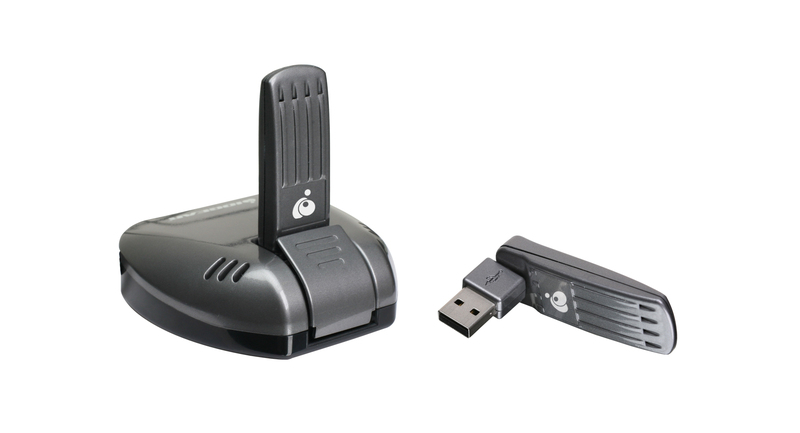 **Maximum performance for wireless USB derived from Wireless USB specifications. Actual performance may vary. ****This product is intended to be used in the same room and is a line-of-sight solution. Please be advised that it will not "see-through" walls or other physical obstacles. Width Base: 5.75", Receiver: 0.75", Transmitter: 0.75"
Height Base: 3", Receiver: 2.75", Transmitter: 2.5"
Depth Base: 1", Receiver: 0.5", Transmitter: 0.5"